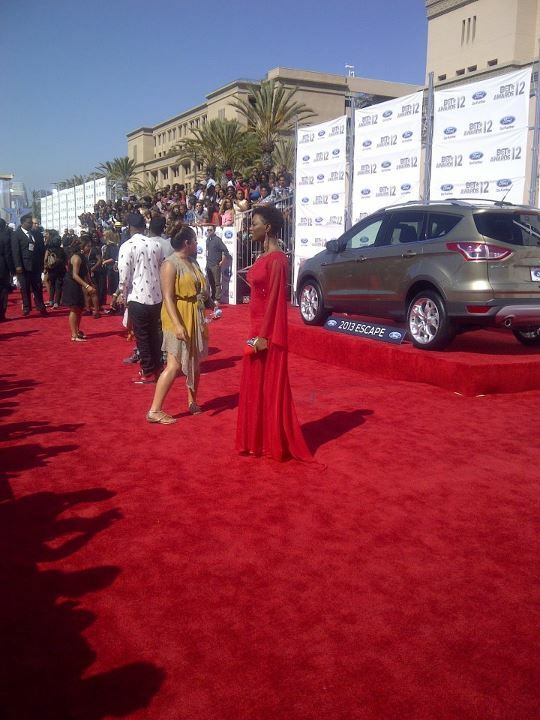 South Africa's LIRA rocks a one strap, red dress with ankara purse at the 2012 BET Awards red carpet. Speaking on her experience at the LIVE award show, she tweets : "Arriving at the BET Awards and the energy is incredible." 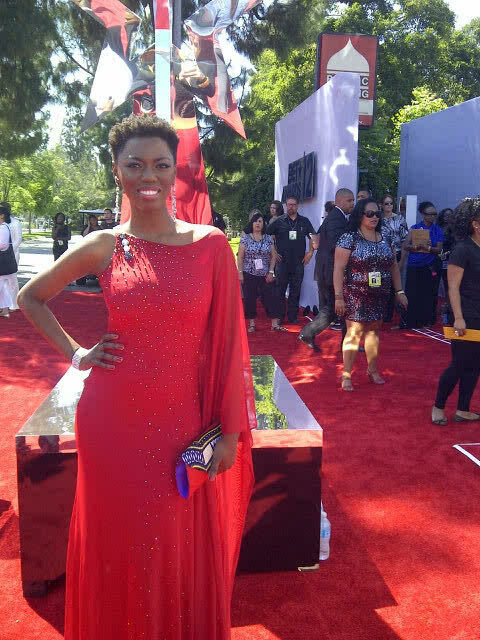 LIRA is nominated in the category of Best International Act (Africa) alongside Iceprince, Wizkid, Sarkodie, Camp Mulla, and Mokobe.